Italeaf – Page 13 – . : Italeaf Group – Innovation To Make The Change :. 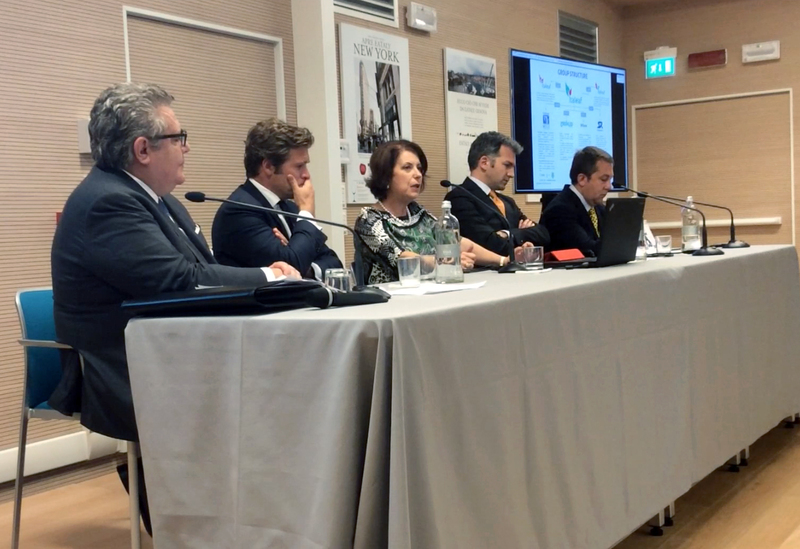 TerniEnergia SpA, a company active in the fields of renewable energy, energy efficiency and waste management and part of the Italeaf Group, listed on the Star segment of Borsa Italiana, announces that on October 11, 2014 the Noteholders’ Meeting of the bonds “TerniEnergia Euro 25,000,000.00 Notes due”, for a total amount of 250 non-convertible bonds with a nominal value of Euro 100,000.00 each, issued by the Company with resolution dated January 27, 2014 – expressed the approval, in accordance with the Terms and Conditions of the Notes, to the the share capital increase with the exclusion of option rights pursuant to Article 2441, paragraph 4, of the Civil Code reserved to the shareholders of Free Energia SpA, through the issuance of new ordinary shares up to n. 6,637,168 of TerniEnergia shares, to refine, through a contribution in kind, the acquisition of 100% of Free Energia, a company active in the trading and energy efficiency, as extraordinary transaction whose value exceeds the 15% limit of the outstanding corporate capital of the Company. (iii) Net financial debt corporate / EBITDA : equal to or less than 3.25X. – Entry into the promising market of the management and sale of services to certified vegetable oil burning power plants, a sector in which Free Energia aims to achieve a national leadership. TerniEnergia, a company incorporated in September of 2005 and part of Italeaf Group, operates in renewable energy sector and is active in the photovoltaic field. TerniEnergia operates as system integrator, with a turn-key offer of industrial sized photovoltaic plants, on behalf of third parties and on its own, for the Power Generation business, also through joint venture companies with leading national players. TerniEnergia operates in the waste management sector, recovery of the material and energy, development and production of technologies. In particular, the Company is active in the recovery of tires out of use, in the treatment of biodegradable waste through the implementation of biodigesters, management of plant for the biological depuration; decommissioning of industrial plants, recovery of demolition metals and cleaning of industrial sites; development and production of technological apparatus. TerniEnergia, through its controlled company Lucos Alternative Energies, operates in the development of energy efficient plants both through EPC scheme and FTT scheme (Financing Through Third Parties), pursuing the objectives of increasing energy production from renewable sources, of energy saving and reduction of emissions as set forth by environmental European policy. TerniEnergia is listed on STAR segment of Borsa Italiana S.p.A.
Skyrobotic, active in the design, development and industrial production of unmanned aerial systems (drones) and part of Italeaf Group, and Fidogroup, a leader in the field of ICT services with a focus on technologies for communication and events, signed a agreement for the supply of multicopter SR-SF6 for the project “Belvedere in the City” of Telecom Italia and Expo 2015 Milan. From September, anyone can follow the progress of the works on the construction site of the Universal Exhibition. 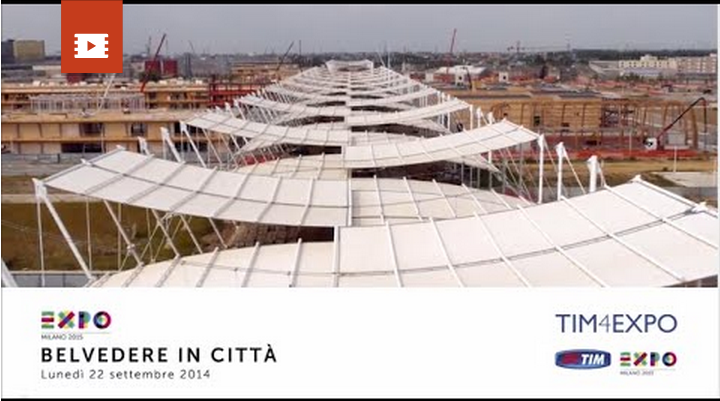 Every week in Expo Gate, which will become the “panoramic viewpoint” on the exhibition site into Milan town, and on the web pages and social channels of Expo 2015, will be showed the videos captured by the Skyrobotic SR-SF6 drone in the construction sites area, thanks to the integration with the Fidogroup technologies of video capture. 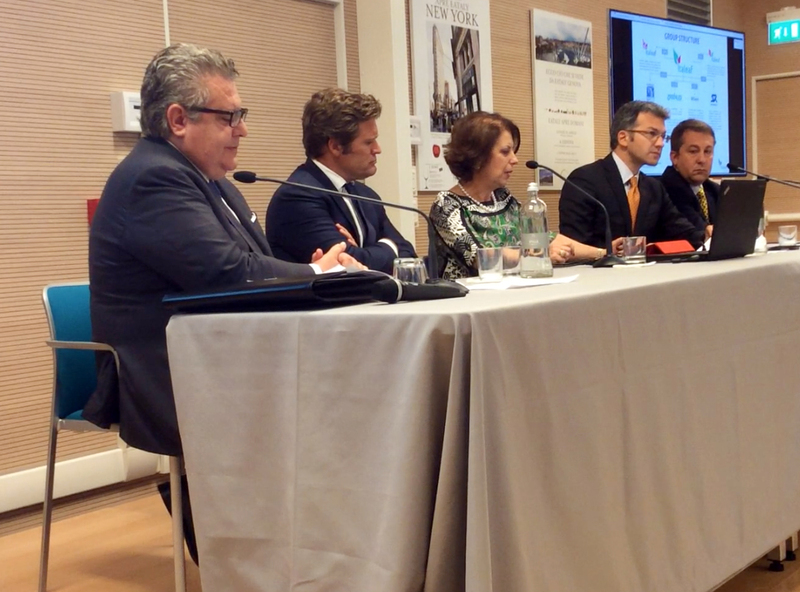 The agreement was presented at the Triennale of Milan as part of the opening ceremony of the new multi-functional space TIM4Expo, which has the objective of promoting innovation and previews of services and solutions designed for the Universal Exhibition. “The SR-SF6 drones used have six rotors in electric propulsion, high efficiency and are controlled by the last generation of autopilots developed by SkyRobotic, that is able to supply advanced automatic features in the video footage in real time. The SkyRobotic UAS has, among other things, a termination solution of the flight with redundant systems, the ability to define “No Fly Zone” and a whole host of features to ensure maximum safety of the flight in any operational scenario. The SR-SF6, in the specific configuration for the reliefs of Expo, is equipped with a system of payload stabilized and protected from the vibrations capable of accommodating cameras, especially cameras with 4K standard, infrared sensors and other systems for the detection of environmental characteristics. The system is capable of displaying video transmission to ground of the image taken by the camera on board to allow the correct composition of the shots. Thanks to a partnership with Fidogroup and Telecom Italia, we were have developed a strong integration between the 4G LTE standard for the communication of high speed data access, streaming video to ground and the core infrastructure of the drone. The effect you get is very spectacular and allows the development of solutions based on technologies Skyrobotic able to provide a high value-added applications in broadcast and film“. “With this transaction we confirm our leadership in next-generation services at support of the most important media events, institutional, financial, sports and communications, in Italy and in the World. For the “Belvedere project in the city”, we used a system of production to 4K video, which enables the production of video content with a resolution 4 times higher than standard Full HD, with the ability to build and deliver movies with infinite detail, quality and flexibility“. For the realization of the video, Skyrobotic used a Panasonic LUMIX 4K camera that allows the best combination of the weight of the payload, image quality and performance of the unmanned aircraft system. 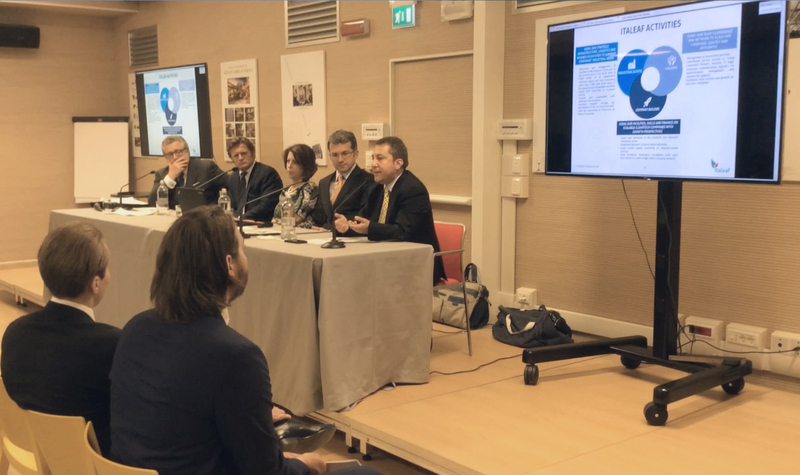 The video capture activity was made in compliance with the relevant legislation, and the Italian Civil Aviation Authority regulations with the highest considerations for safety, reliability and risk mitigation. The videos made with the Skyrobotic drones will be viewed within TIM4Expo, that is a space of 120 square meters which is a meeting point for all partners and that can also be used for exhibitions, cultural events, meetings on the topics of food, sustainability and excellence of Made in Italy. It is a technology showcase, a place of information and experimentation that will allow people to discover and share your entire digital eco-system of Expo Milano 2015 and to have an overview of the main innovative solutions that will be used in the future. Skyrobotic Srl, with a share capital of 1.03 million Euros, is the Italian company leader in the field of unmanned aerial systems (UAS). Established in December 2013, and parte of the Italeaf group, is active in the development, manufacturing and marketing of drones in mini and micro classes for the civil and commercial use in the professional market. With a constant focus on innovation, the company intends to achieve the leadership in the field of unmanned aircraft, taking care of the whole industrial chain, from design to system integration, right through to production turnkey platform robust, practical and effective in the field of remote sensing proximity. Skyrobotic combines the know-how and decades of experience in the field of Siralab Robotics, a company with high technological content, and the track record, operational experience and financial capacity of Italeaf, group leader in the fields of cleantech and innovative industry listed on the First North segment of NASDAQ OMX in Stockholm Stock Exchange. 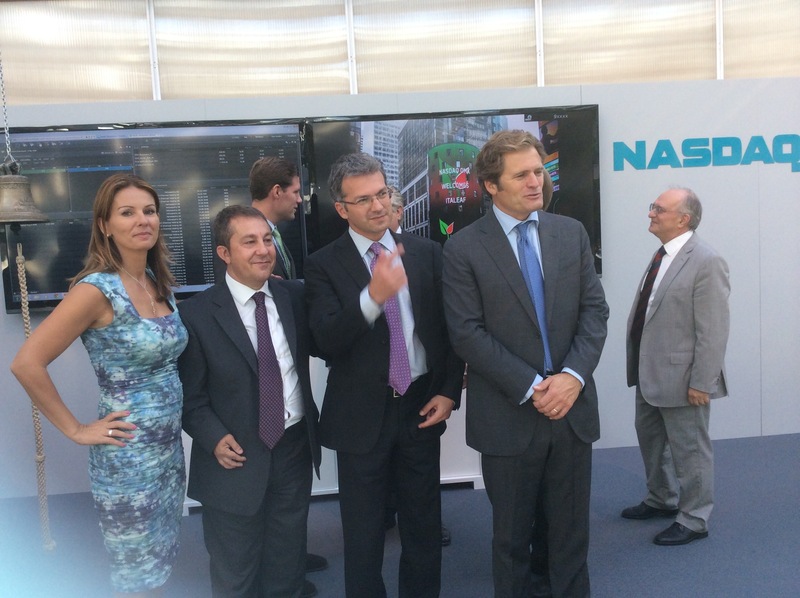 The President Stefano Neri: “A historic day for the Italian industry innovation. Our Company ‘active in cleantech and smart innovation opens up a new market for investors with high interest in social responsibility’. Stockholm. In the opening action did a performance of + 2%. 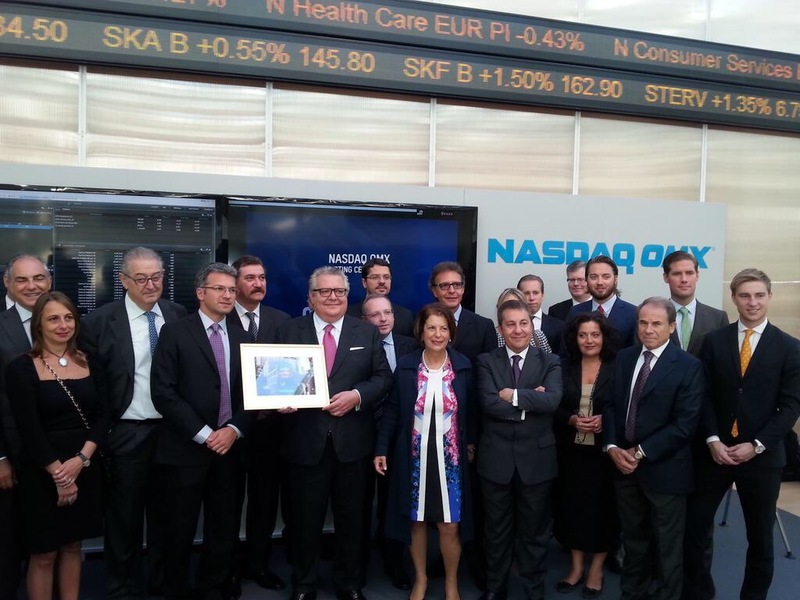 The placement price and the First North was 2.5 euro per share. The goal of Italeaf now is to continue to deliver value, widening the shareholder base and increasing the exploitation of a brand that is a candidate to be an attractive factor for new business and startups in the areas of high in innovation, technology and environmental fallout . The intention of the Group, which controls in addition to TerniEnergia (company ‘listed on the STAR segment of the Italian Stock Exchange) also others startups like Greenled Industry (production of LED lamps for power), Skyrobotic (mini and micro drones in class for use in civil and commercial) and Wisave (internet of things for energy efficiency and thermal) is to propose a new business model that sinks, however, its roots in the technological capabilities of the Made in Italy, by hooking the megatrend of cleantech and the convergence between digital and manufacturing . 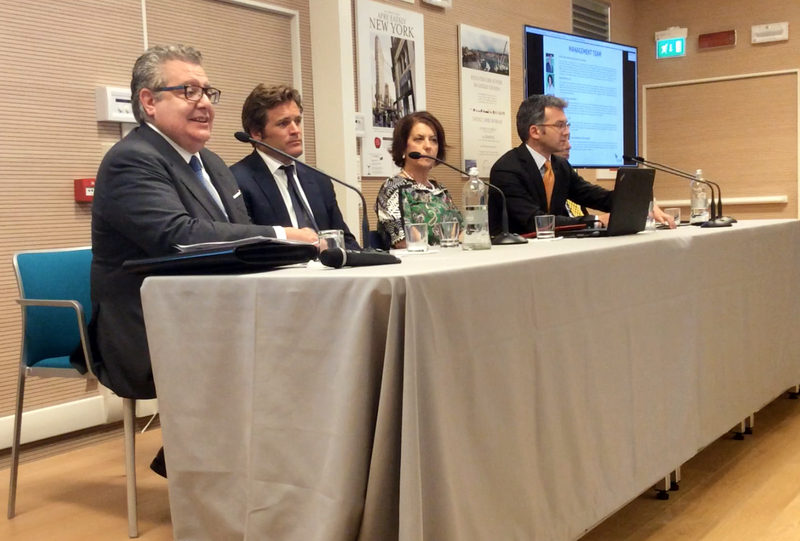 Yesterday a delegation of the management of the Company ‘, composed of the President Stefano, Managing Director Monica Federici, the board of directors Ivano Emili, CFO Philip Calisti and the responsible development and corporate communications Federico Zacaglioni, was received by the Italian in Sweden, SE Elena Basile, and she ‘congratulated for their success and for the process of internationalization that Italeaf is finalizing. 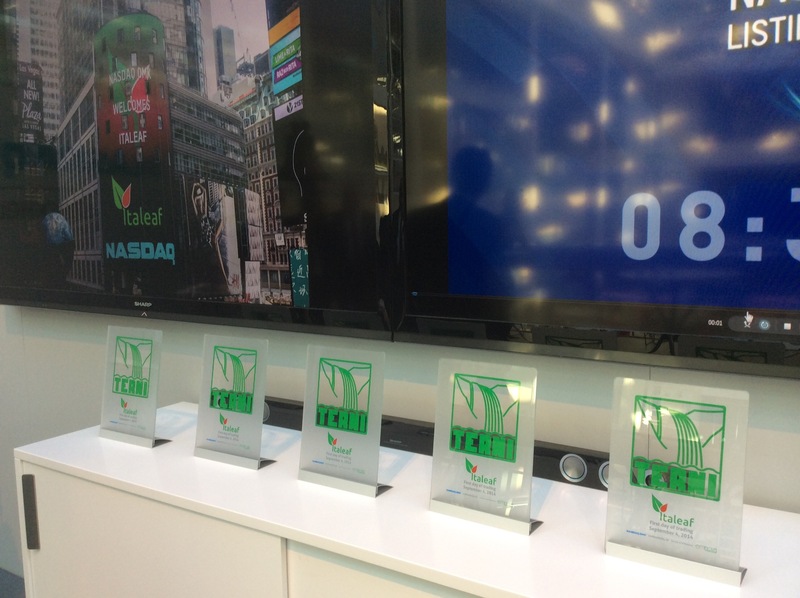 In July 2014 Italeaf S.p.A.’s (“Italeaf” or the “Company”) carried out a private placement of MEUR 2 in order to broaden the shareholder base and therefore creating the necessary free float needed for listing on NASDAQ OMX First North (the “Offer”). The Offer was subscribed to approximately 55.5 percent, all paid in cash. Italeaf was provided with approximately MEUR 1.1 before issue costs and got 71 new shareholders. A total of 444,000 shares were issued under the Offer, at a subscription price of EUR 2.5 per share. Italeaf carried out a private placement in July 2014 (the “Offer”). The Offer was subscribed to approximately 55.5 percent, all paid in cash. A total of 444,000 shares were issued under the Offer. Italeaf was provided with approximately MEUR 1.1 before issue costs. 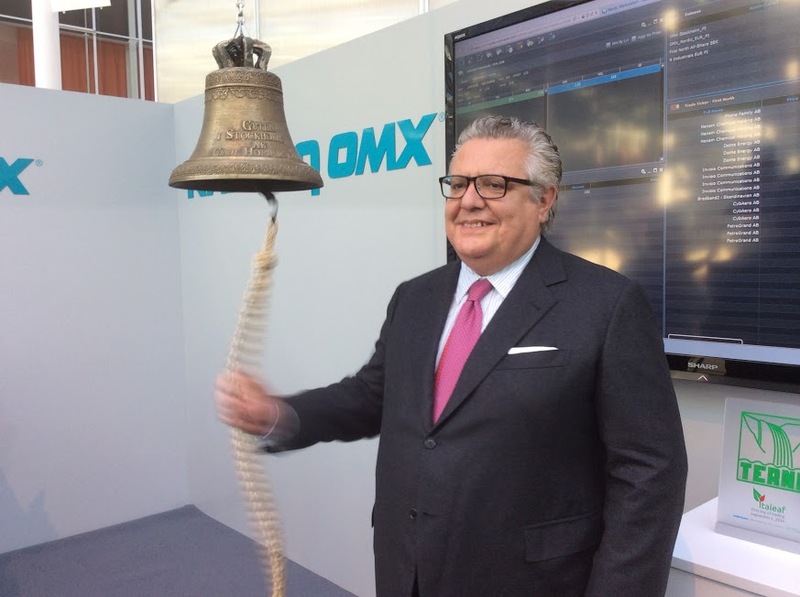 The Offer was made in order to broaden the shareholder base and therefore creating the necessary free float needed for listing on NASDAQ OMX First North. 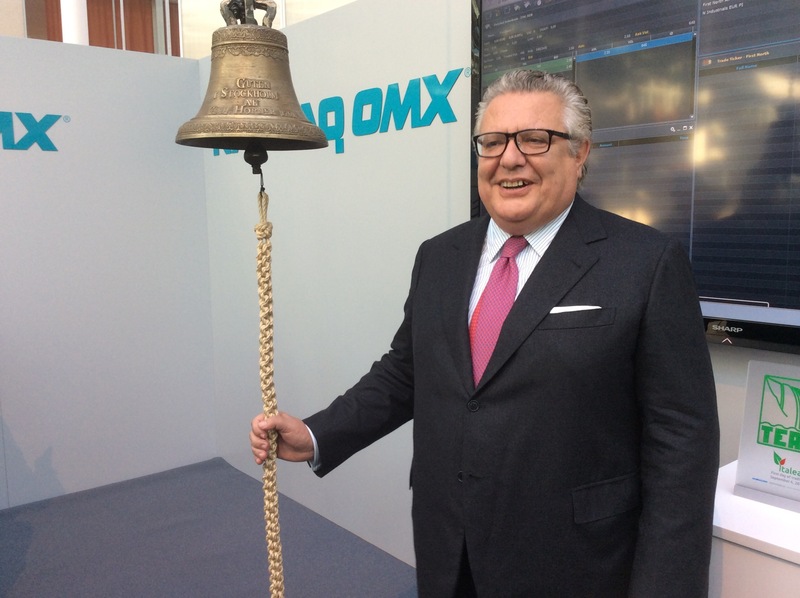 With 71 new shareholders the Offer was a success. The number of shares in Italeaf increased by 444,000. The share capital increased by EUR 444,000. After the Offer the total number of shares amounts to 15,444,000. After the Offer Italeaf’s share capital amounts to EUR 15,444,000. The company description has been updated with this information and is available on Italeaf’s website http://www.italeaf.com/wp-content/uploads/2014/07/CompanyDescription-ItaleafSpA.pdf and on Mangold’s website, http://mangold.se/Mangoldonline/uploads/news/CompanyDescription-ItaleafSpA.pdf. 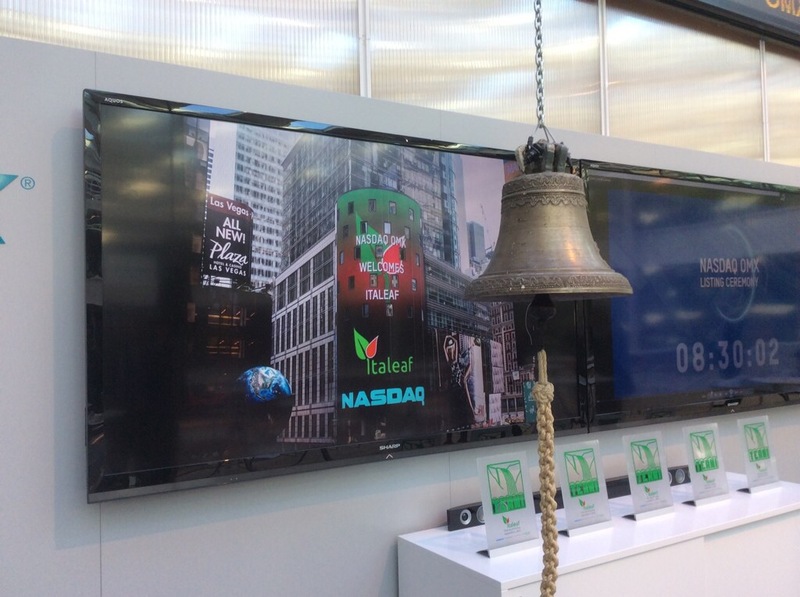 Italeaf S.p.A. (“Italeaf”) has been approved for trading on NASDAQ OMX First North. 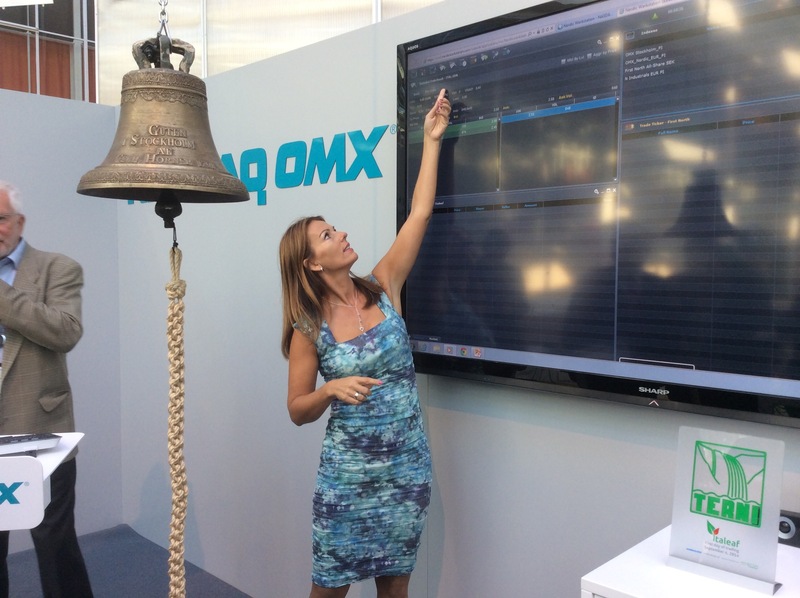 The first day of trading on NASDAQ OMX First North is Thursday, 4 September 2014. The shares in Italeaf are represented by Swedish Depository Receipts (SDRs). The SDRs will trade under the ticker symbol ITAL with the ISIN code: SE0006143103. 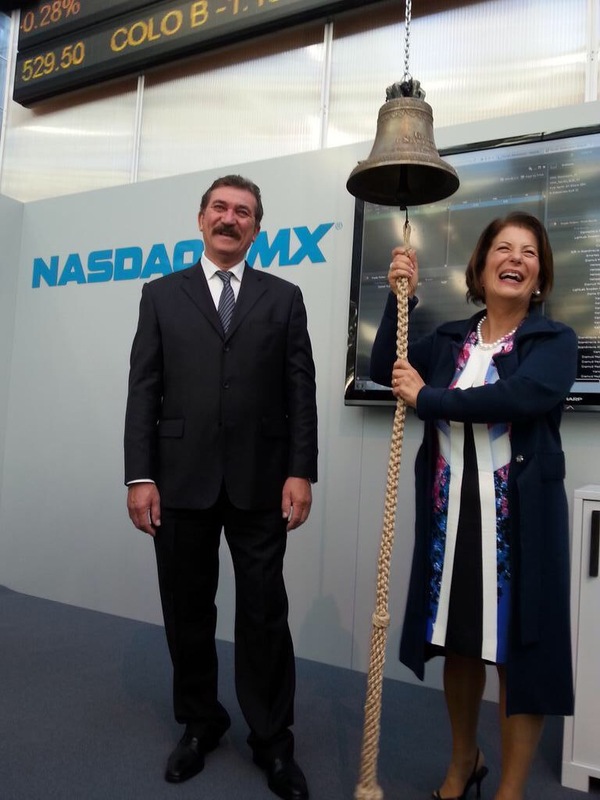 “Our listing on the NASDAQ OMX First North is a major corporate milestone for our Company and a testament to the tremendous progress we have made over the past few years.” stated Dr. Monica Federici, CEO of Italeaf. 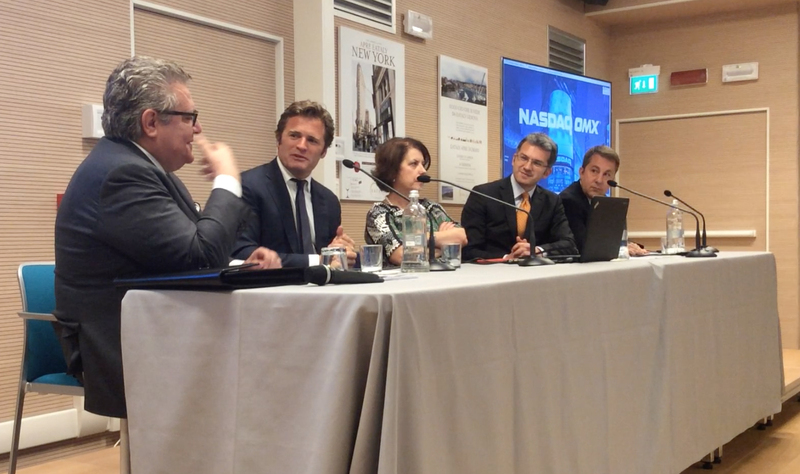 “We are an innovative company, and as such, we have chosen a pioneer road: we are the first italian company listed in the Nordic Market, the first to approach the stock exchange with a company builder business model and, at last, the first to turn to investors who believe in environmentally sustainable technology investments. 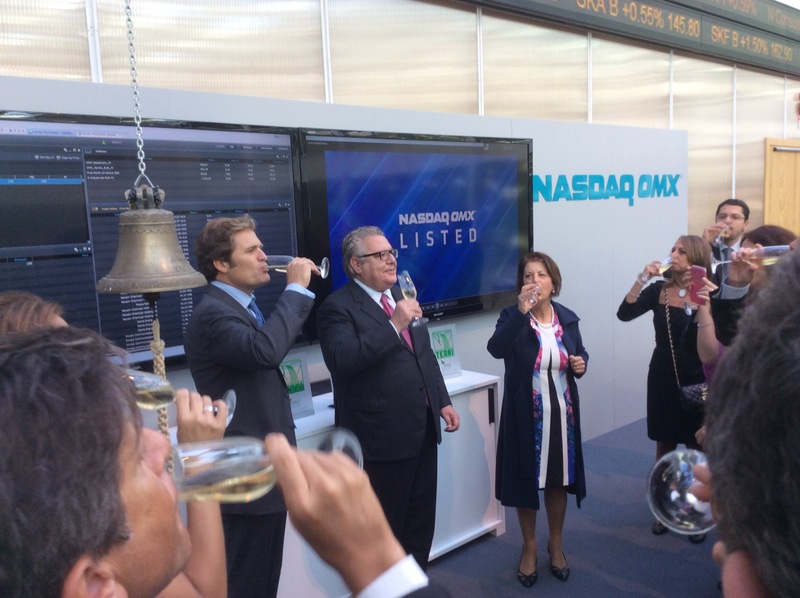 We believe that the listing on NASDAQ will help broaden our shareholder base, increase appeal to institutional investors, provide us with better liquidity and ultimately contribute to increasing shareholder value”. 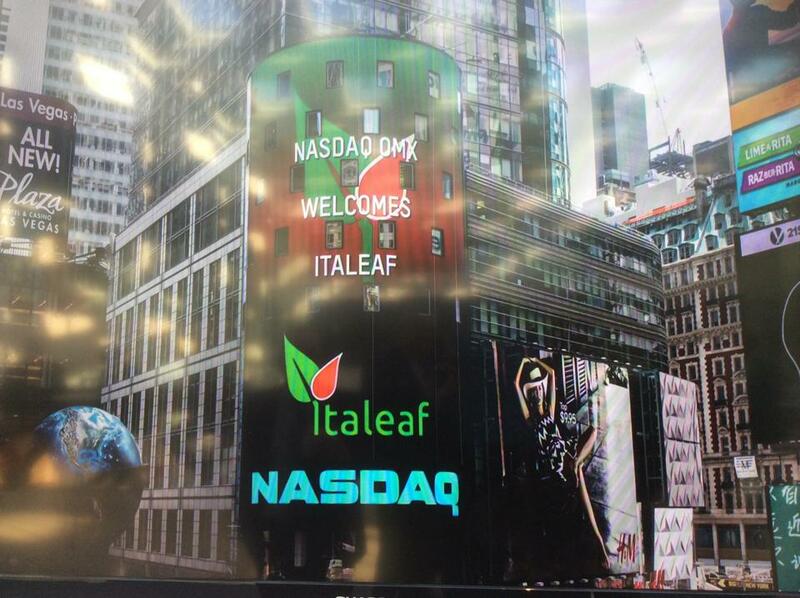 The Company has published a company description that has been approved by NASDAQ OMX and is available on Italeaf’s website http://www.italeaf.com/wp-content/uploads/2014/07/CompanyDescription-ItaleafSpA.pdf and on Mangold’s website, http://mangold.se/Mangoldonline/uploads/news/CompanyDescription-ItaleafSpA.pdf. 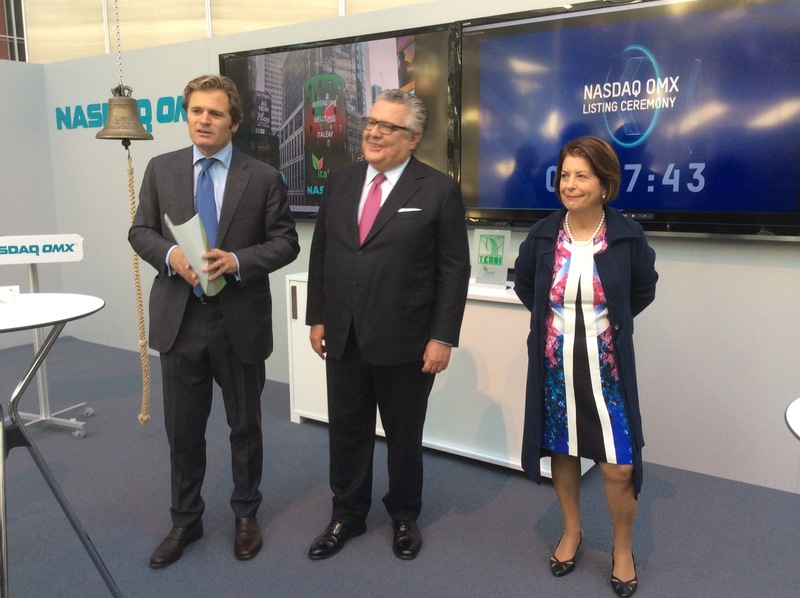 Mangold Fondkommission AB will act as the Certified Adviser for Italeaf on NASDAQ OMX First North. 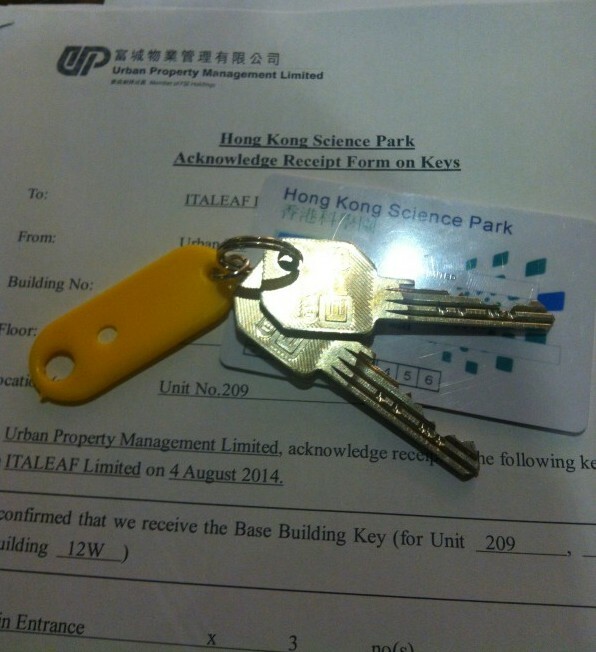 Italeaf HK, a subsidiary of Italeaf, holding company and first Italian company builder active in cleantech and smart innovation sectors, has been admitted to the Hong Kong Science and Technology Park. The Italeaf’s office is located in the Unit 209 Building 12W. Italeaf, holding company and first Italian company builder active in cleantech and smart innovation sectors, presented to investors and press the planned flotation of shares on the MTF NASDAQ OMX First North in Stockholm Stock Exchange, after a private placement operation. There is an ongoing capital increase reserved for a maximum of 800,000 shares for a total of 2 million Euros, which will bring the total share capital to 17 million. 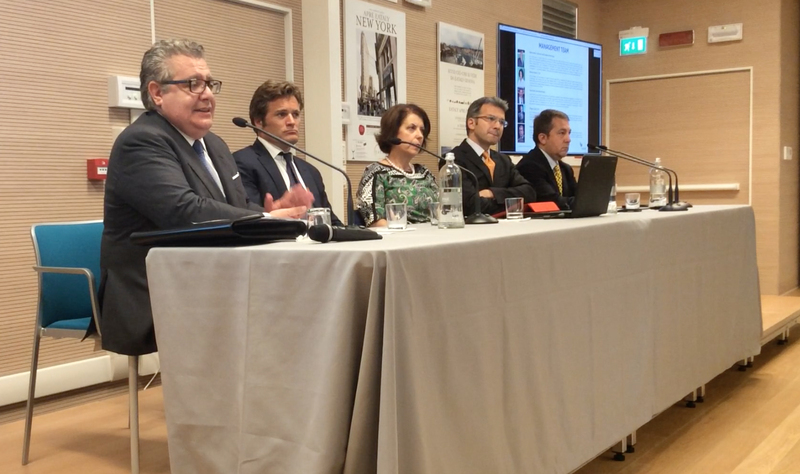 “Italeaf, by the summer, will be of the first Italian company listed on the Swedish market – said the Chairman, Mr Stefano Neri – Our choice is made for a number of reasons: first of all, for the sensitivity of Nordic investors for clean technologies, innovation and social responsibility. 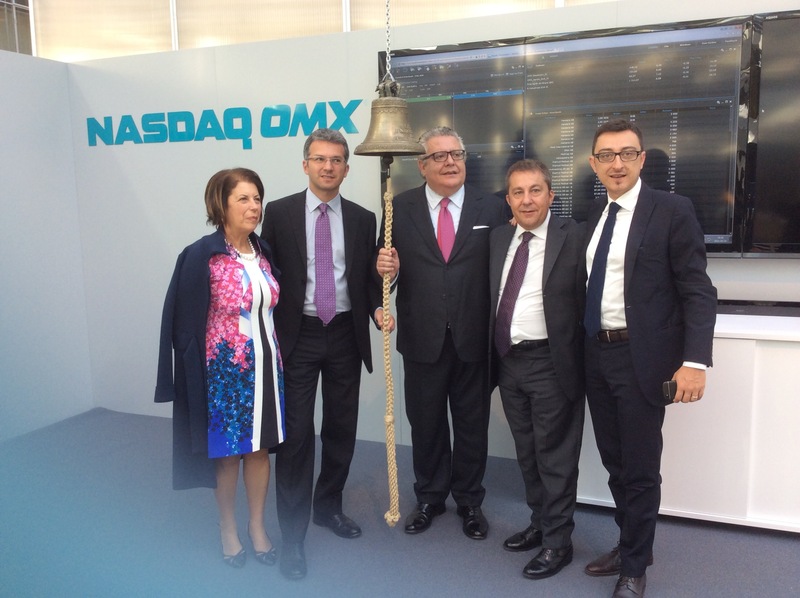 And then for the steady growth of interest in Nasdaq OMX, a market that is catalyzing attention for the rapid growth in Europe, but not yet fully appreciated in Italy. 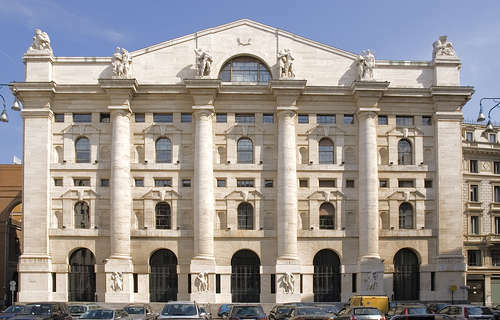 Finally, to avoid overlap between Italeaf and TerniEnergia, which already operates in the Star segment of Borsa Italiana, owned by LSE. 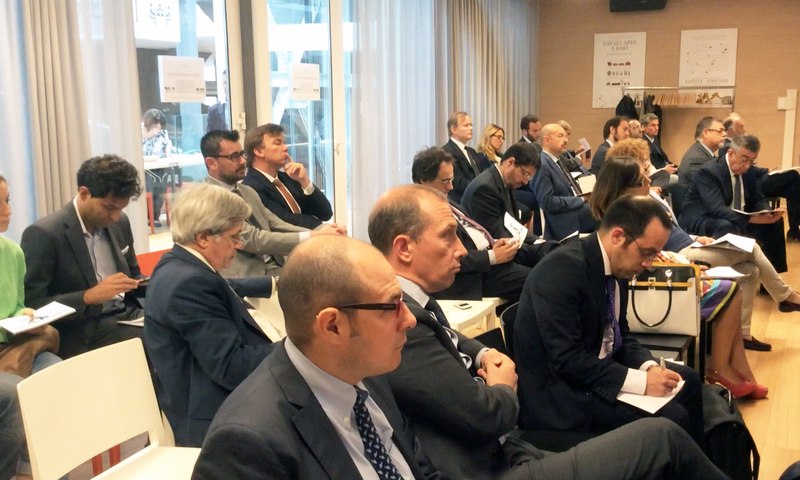 The shareholders’ meeting decided on the placement price, that will be 2.5 euro per share. Ourhe goal is to continue to create value, broad the shareholder base and increase the brand awareness. 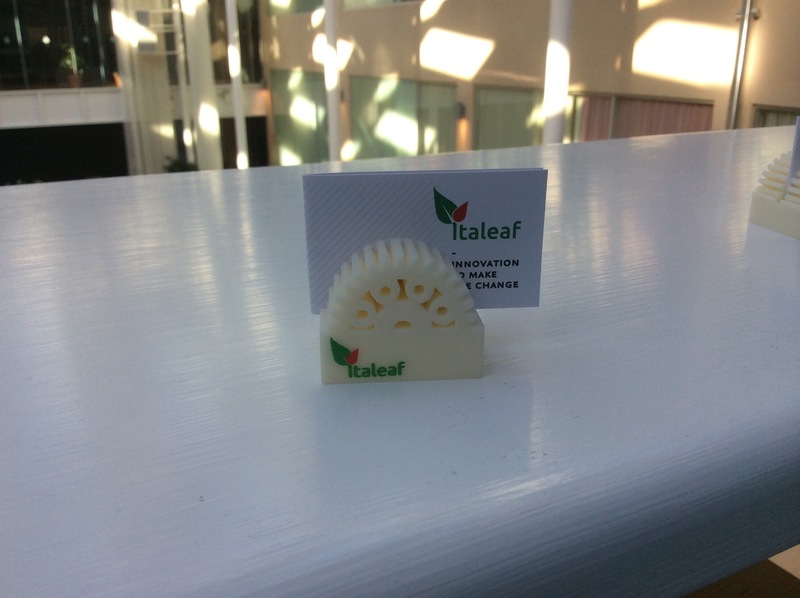 Italeaf wants to to represent an attractive factor for new businesses and startups in the areas of high innovation, technology and reducement of environmental impact”.